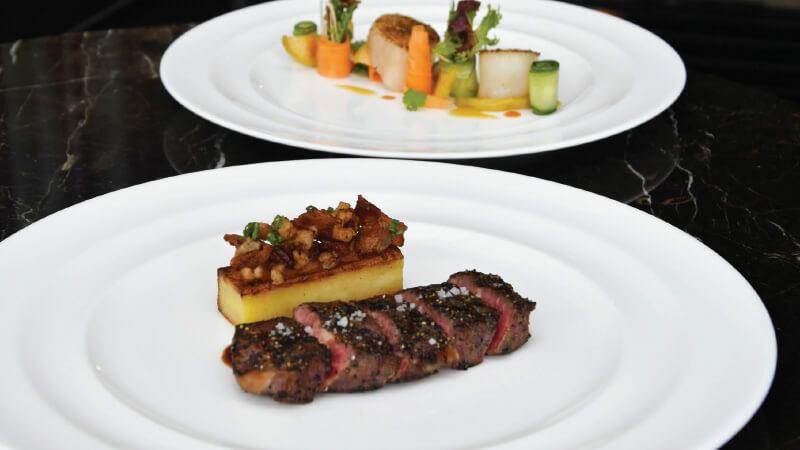 The Château Troplong Mondot Wine dinner at LTITUDE is priced at RM500 nett per pax. LTITUDE at Resorts World Genting is serving a six-course wine dinner for one night only — featuring the wines of Château Troplong Mondot. To be held this Wednesday, the dinner will feature a wine pairing menu of mouth-watering dishes. Five wines of varying ages will be poured at the dinner, presenting a storyline of how Château Troplong Mondot’s different vintages develop over time. Picture this. As trays of delicate canapés — piled high with blue cheese-wrapped Spanish Parma ham skewers, Yellow Tail floss with cream cheese on toast and smoked duck with mango salsa and dragon fruit — are passed around, servers will be attentively pouring out glasses of Mondot 2011. One of the younger of the wines for the evening, Mondot 2011 has a rich seductive, succulent flavour with notes of espresso roast and fleshy Merlot. 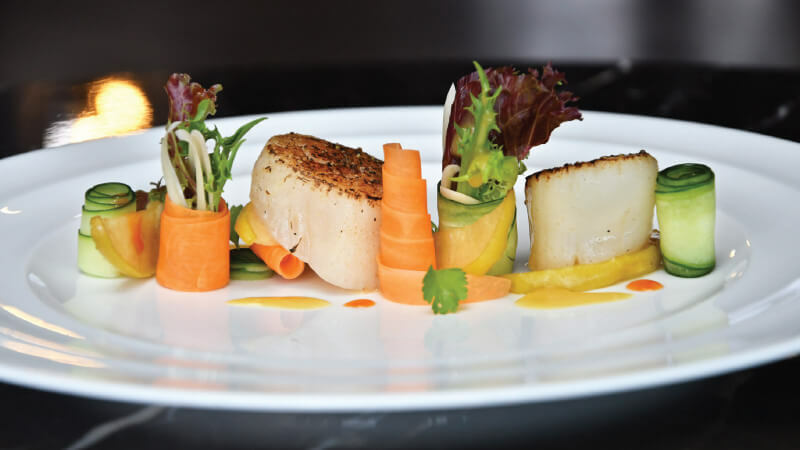 Once all the guests are seated, Chef Teo and his team at LTITUDE will deliver plates of pan-seared Canadian scallops, accompanied by caramelised apples, shaved vegetables and an orange-maple mustard dressing. To match this culinary complexity, the deep ruby Château Troplong Mondot 1999 offers up a beautifully well-balanced and elegant flavour of vanillin, black cherry and subtle smoke — the product of two years of cellaring and 14 to 15 years of graceful ageing. Nurse the Château Troplong Mondot 1999 through the soup course — a seafood consommé of lobster, prawn, fennel and herb oil — then cleanse your palate with a grape sherbet with orange segments and mint. At first blush, Glacier 51 may not sound appetising, but the Glacier 51 Toothfish — also known as the Chilean seabass — is a miracle on the taste buds. Here, the fish will be smoked and served with grilled asparagus and tomato balsamico. 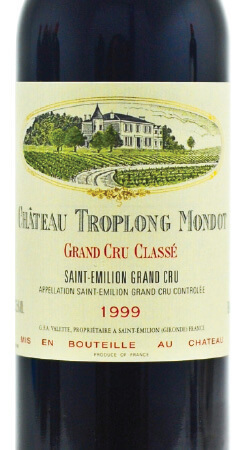 The delicate texture of the fish is meant to marry harmoniously with the Château Troplong Mondot 2004 — a gorgeously rich emblem of the Troplong Mondot style with sweet notes of cherry, white chocolate, black currants and spicy rockiness. And then, the piece de resistance — a grilled Wagyu rib-eye MB9 — glistening with char and jus, flanked by luscious potatoes, bacon and bone marrow will be served. This quintessential expression of the French love for fine food is served with Château Troplong Mondot 2011. This wine’s — a final blend of 89% Merlot, 9% Cabernet Sauvignon and 2% Cabernet Franc — blueish/purplish colour hints at the deep sensations of blueberry liqueur, black raspberries, blackberries, liquorice and camphor, creating a complex vintage that elevates the umami sensation of a perfectly cooked slice of steak. Dessert will be a warm chocolate lava cake, where a molten interior oozes out indulgently to mingle with vanilla ice cream. Accompanying this will be Château Troplong Mondot 2015 — an elixir of deep garnet-purple with a summery tinge, redolent of warm plums, blackberry tart, blueberry pie, lavender and baking spices — meant to be a spicy yet appropriate partner for a decadent dessert. And because this is a French celebration, the meal will not be complete without cheese, with an assortment of delightful French cheeses with dried fruit and compote ending the meal. The Château Troplong Mondot Wine dinner at LTITUDE is priced at RM500 nett per pax. LTITUDE is located at Genting Club, on the ground floor of Genting Grand Hotel. For reservations, please contact (017) 9270 136.